(Gulf News) - Hargeisa, Somaliland: “To be sovereign, you don’t need to be recognised,” says Dr Sa’ad Ali Shire, the foreign minister of Somaliland. Shire has the bearing of university professor, and chooses his words carefully. The self-declared independent republic is not recognised by the international community but it sees itself as the successor state to the colonial-era British Protectorate of Somaliland. Upon gaining independence from Britain in 1960, it joined Somalia—which had been under Italian tutelage. The heavy fisted rule by the Mogadishu-based dictatorship of Siad Barre led to the formation of the armed Somali National Movement in Somaliland in the 1980s which, alongside clan-linked militias, toppled the Barre regime in January 1991. “When we declared our independence, we merely reclaimed our sovereignty. We were sovereign before we joined Somalia. Since 1991, we’ve had our own government, currency, and institutions. Somaliland is not a fanstasy – it is a reality on the ground,” said Shire. 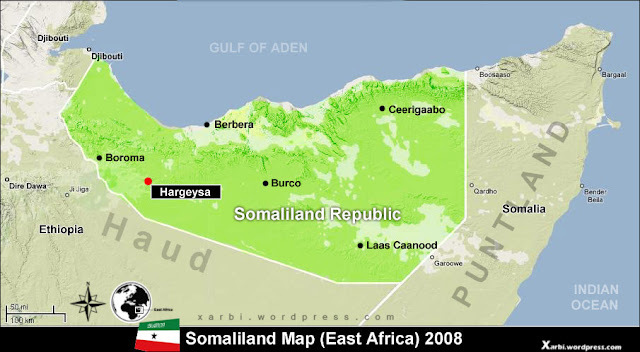 About twice the size of the UAE, Somaliland has a population of just 3.5 million. It has hundreds of kilometres of pristine coastline along the Gulf of Aden, with Yemen directly to its north. The government is extremely poor; the republic last week announced an annual budget of only $281 million. Somaliland’s GDP is just $2 billion. However, its democratic credentials are impressive. It has a freely elected president and legislature. The vibrancy of its democracy is best seen through a visit to the parliament, where heated debate is the norm and ministers often face uncomfortable questions. Somaliland is also far more politically stable than Somalia. Its infrastructure, however, is in the doldrums; roads especially are in a terrible state. But, the preponderance of Japanese 4WDs, a total absence of two-wheelers, lively and well-stocked street markets suggest people are not very poor. Much of the economy is in private hands and Somaliland has judiciously stuck to the free market system. Taxes are low. At the political and public level, there is a strong sense that the people of Somaliland have the ‘right’ to exploit their resources as they deem fit. This is illustrated most clearly by the DP World deal. The Dubai-based port operator, the fourth largest in the world, agreed to invest $442 million in the Berbera port in Somaliland, controlling a 51 per cent stake in the project while the Somaliland government will control 30 per cent. Both deals were bitterly opposed by the Somalia. Shire says “no one has the authority to interfere in a deal between Somaliland and DP World. This is an economic and commercial deal that will benefit everyone in the Horn of Africa region. Somalia’s claims are baseless, and don’t change anything on the ground”. The region has enjoyed close ties with the UAE and Saudi Arabia. Many people here speak Arabic and have either worked in, or have relatives in, the Gulf states. The port project has given a fillip to the trade between the two sides. What Somaliland has going for it is the remarkable peace and stability it enjoys, which is unique for this region. Almost all its neighbours – Eritrea, Puntland, Somalia, South Sudan, and even Kenya ¬– have experienced some degree of political paralysis or outright conflict. As it increases its efforts to gain international recognition as an independent state, Somaliland is seeking to leverage its functioning polity. “I am the 12th foreign minister of Somaliland since we declared independence in 1991, and every foreign minister before me has done what I am doing – working hard to gain full recognition,” notes Shire.